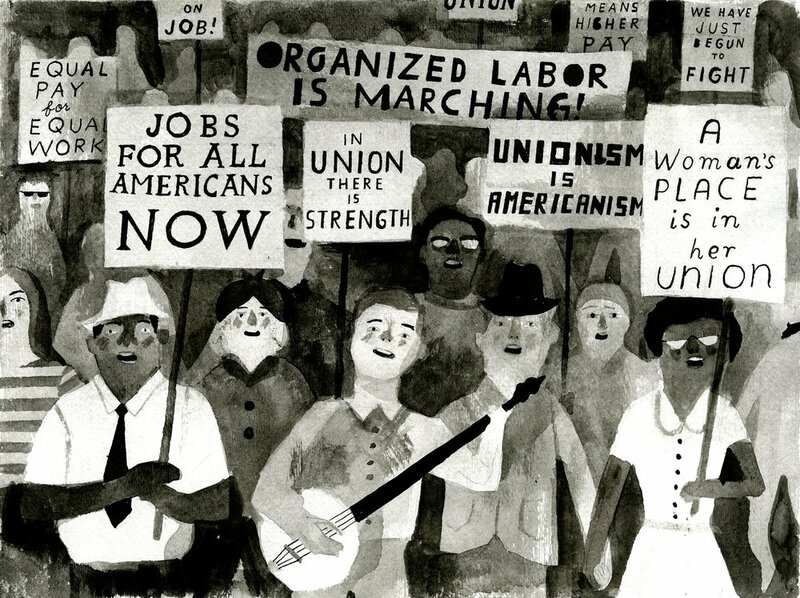 Back when I was trying to illustrate the picture book biography that Colin wrote about Pete Seeger, before I gave up and Nikki McClure took over and made it the gorgeous book it is now, I made this sketch of Pete leading a labor march. It’s now available as a print and I’m donating a portion of the proceeds to the Battle Ground, WA teachers strike fund as long as they need it. You can buy it HERE. Thanks! 1. 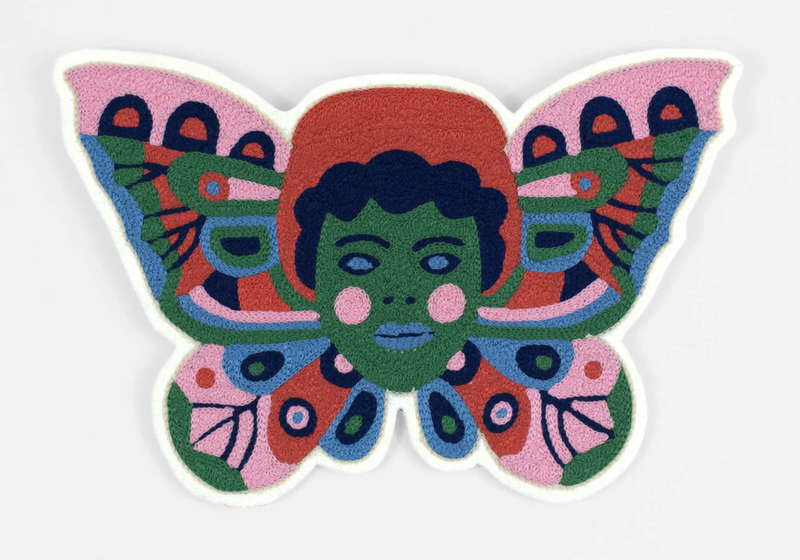 The patch above is a collaboration with the wonderful women of Fort Lonesome in Austin, Texas. There are only five of them and they're all a little different as they are chainstitched one-at-a-time on vintage machines. It's big - 11" x 7.5" - sized to fit on the back panel of a jean jacket. 2. 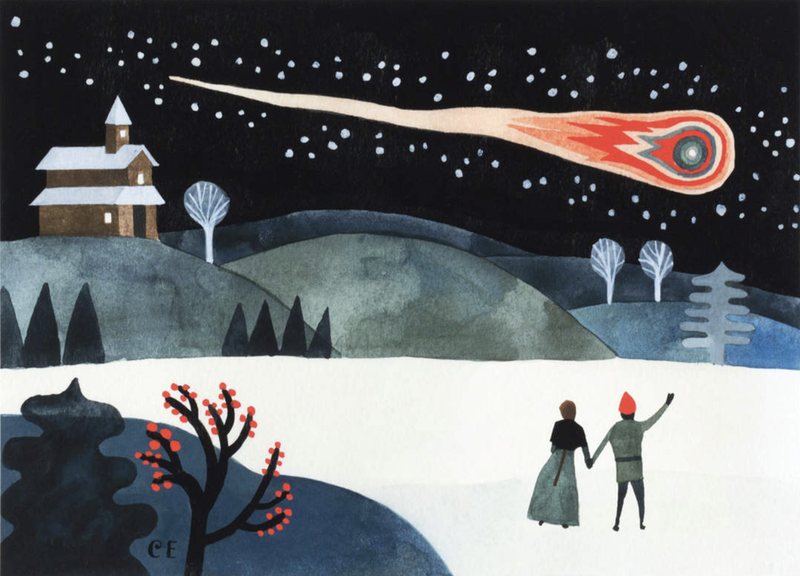 This print is of a painting I made a few years ago for my family's holiday card. I've been meaning to turn it into a giclee print for years and here it finally is. 11" x 8.5", signed. 3. Notecards! This is one of six designs. Each is a different color. They were letterpress-printed by Stumptown Printers in Portland, who I have worked with for almost 20 years and who I love a lot. 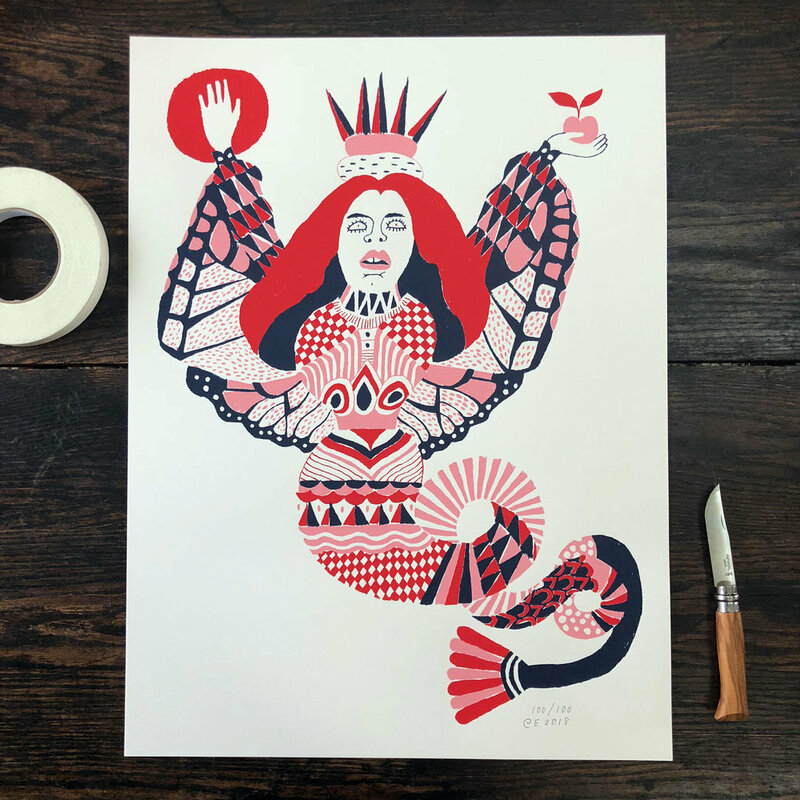 Le Oui sells limited edition silkscreened prints and donates a portion of their proceeds to organizations that work for social justice and equality. The company is run by May Barruel and is an offshoot of Nationale. It's a great concept: I sell this Onward print through Le Oui and it's raised a ton of money for the ACLU. I have two new prints I'm releasing with Le Oui this week. The first is an 18" x 24" three color screenprint in an edition of 100. 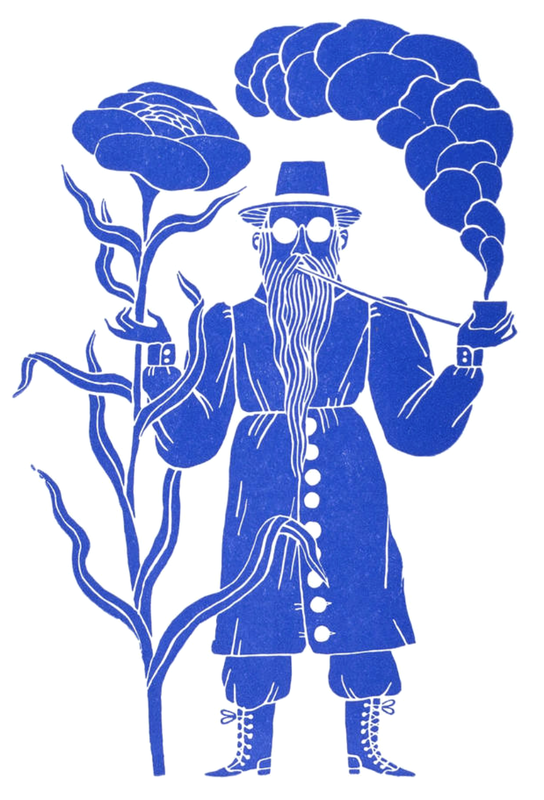 The second is a single color 16" x 20" screenprint in two colorways, each in an edition of 25. 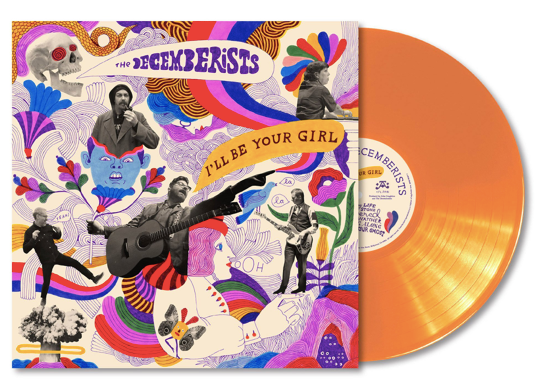 You can order them HERE and HERE. They'll also be available at Nationale, where I have a show opening this weekend. We'll be donating 10% of the proceeds from these prints to Family Preservation Project. FPP is a program that does a lot of important work with incarcerated moms. It's based out of the Coffee Creek Correctional Facility, near my house, and I volunteer there sometimes. I can't overstate how inspired I am by FPP: by its mission, by the moms and the kids who are a part of it, by the women who run it, by the FPP alumni who advocate for the program once they're out of prison. FPP does so many things but, maybe most importantly, it helps incarcerated moms maintain relationships with their kids. It didn't occur to me before I started volunteering there that mothers are not guaranteed contact with their kids when they go to prison and vise versa. On the contrary, a lot of mothers lose touch with their children the moment they get arrested. Sometimes they don't know where their kids have ended up in the wake of an arrest and have no recourse to find out. And this is only the tip of the iceberg when it comes to the myriad ways that prison serves to tear mothers and their children apart. Fortunately, Family Preservation Project together with Oregon State Senator, Michael Dembrow introduced a Bill of Rights for the children of imprisoned parents that was recently signed into law by Oregon governor Kate Brown. It's a huge deal! The first law of its kind in the country! I urge you to read more about it and to support the concept fiercely in your own state. It ensures the right of a child to maintain a relationship with an incarcerated parent and addresses a lot of other issues that are the source of hardship including support, mental health, decision-making, etc. All of this to say, please support Family Preservation Project! In addition to creating this Bill of Rights, and keeping imprisoned moms in touch with their kids, the support, services, and community they provide for program participants and their families is critical. And it works: the recidivism rate for FPP alumni is pretty much nil. Yet they're always at risk of losing their funding. Don't let it happen! And check out Mothering Inside, a great documentary by Brian Lindstrom that profiles FPP, to learn more. 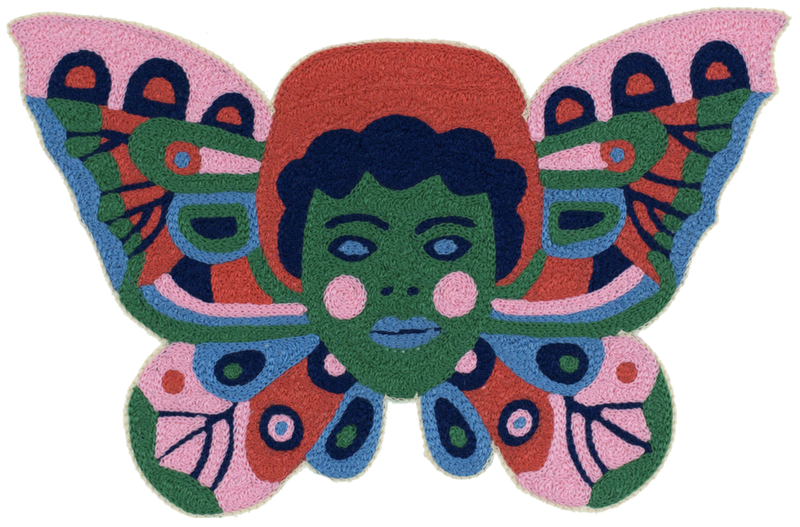 I'm so happy to be teaming up with my old friend May Barruel at Nationale for a show opening this week. For those of you who don't live in Portland but are curious about the show and available work, email Nationale for a preview. Hope to see some of you at the reception this Sunday! More info here. Javaka Steptoe, Vera Brosgol, R. Gregory Christie, Brendan Wenzel, and I will be showing some slides, speaking about our work, and answering questions at the First Unitarian Church in SW Portland. These people are so talented and I'm thrilled that we'll all be in Portland for this. I'm pretty sure there'll be signings after the Du Iz Tak? reading and the presentation with Colin and also after the event on Sunday. Admission to Wordstock is free for people 17 and under. 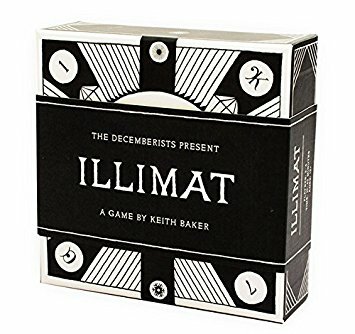 Come celebrate the launch of Illimat with Keith Baker, members of the Decemberists, and me! For more info about the game go to illimat.com. For more info about the party and to RSVP check out the Facebook event page. Hey! This book, written by Colin with illustrations by me, comes out on October 24th! 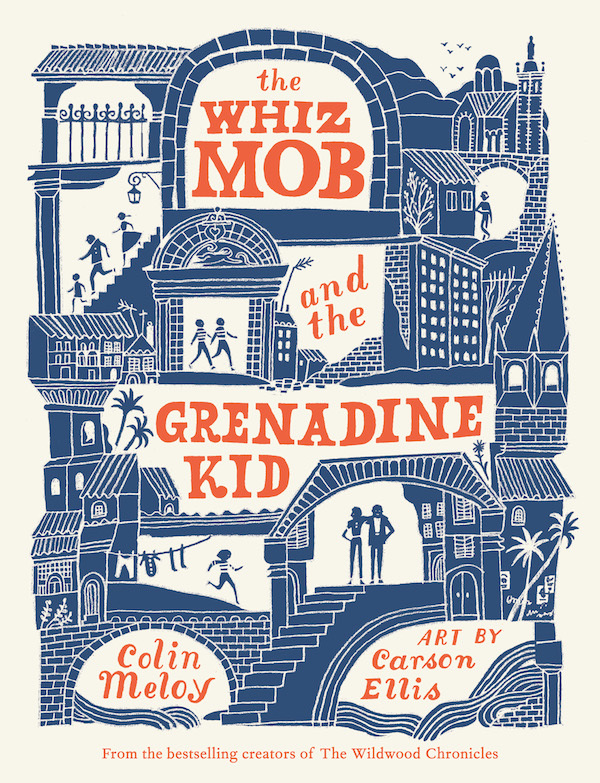 It's a middle grade novel about a kid named Charlie Fisher and his adventures with an international gang of child pickpockets in 1960s Marseille, France. We're proud of it! Come say hello and see us read/talk about/sign this book if we'll be in your town. Here's a wishful sticker I designed. 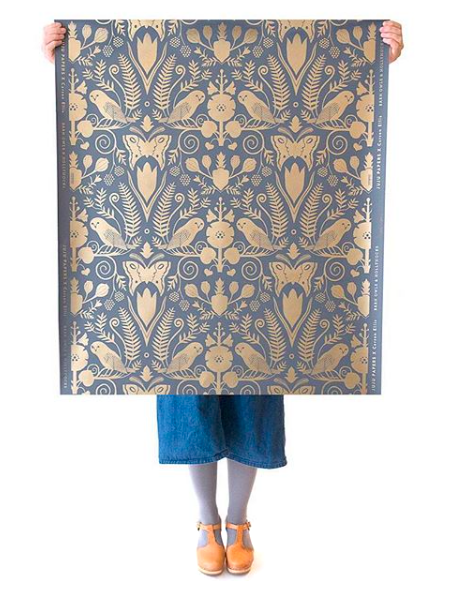 It's for sale RIGHT HERE, in my Buyolympia shop. The proceeds go to the Southern Poverty Law Center. If you would like to buy more things that support more good organizations, I also have CARDS available that benefit Planned Parenthood and SCREENPRINTED POSTERS available that benefit The ACLU. I thought this was so pretty that I ought to share it with the world. The Whiz Mob and the Grenadine Kid! A standalone middle grade novel, set in Marseille in 1961. By Colin with art by me. Coming to a fine independent bookstore near you October 24th. Stay tuned for more info regarding tour, etc. It’s been quite a week. The good news is that I spent the past 5 days in LA with family and friends I love, some of whom are pregnant and one of whom is my beautiful baby nephew, Felix. The bad news is political and too much to list here. 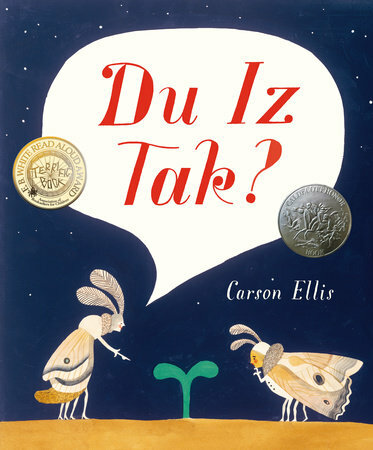 But can I go back to a week ago today, when I found out Du Iz Tak had been awarded a Caldecott Honor? Will you humor me? Because I never really took the opportunity to say how much that meant to me or to thank the people that need thanking. Suffice it to say, that disorienting 4 am phone call from a room full of librarians last Monday was one of the best moments of my life. I’ve been a lover, collector, and student of picture books since I was a teenager and I can’t overstate how much it means to me to be recognized this way. Thank you so much, Caldecott Committee! Thanks also to Steve Malk for so many years of friendship, support, and impeccable guidance. Thanks to my intrepid editor Liz Bicknell for understanding and embracing Du Iz Tak when it was an inscrutable manuscript without a single sketch to accompany it. 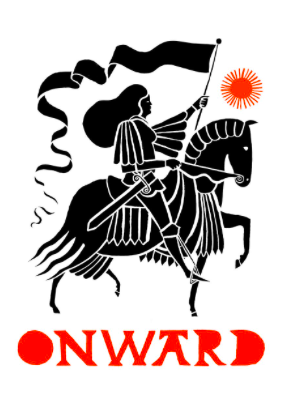 Thanks to Candlewick for all your hard work! Especially Erika Denn, Kristen Nobles, and Gregg Hammerquist who ever-so-patiently pieced this book together while I looked uselessly over his shoulder. 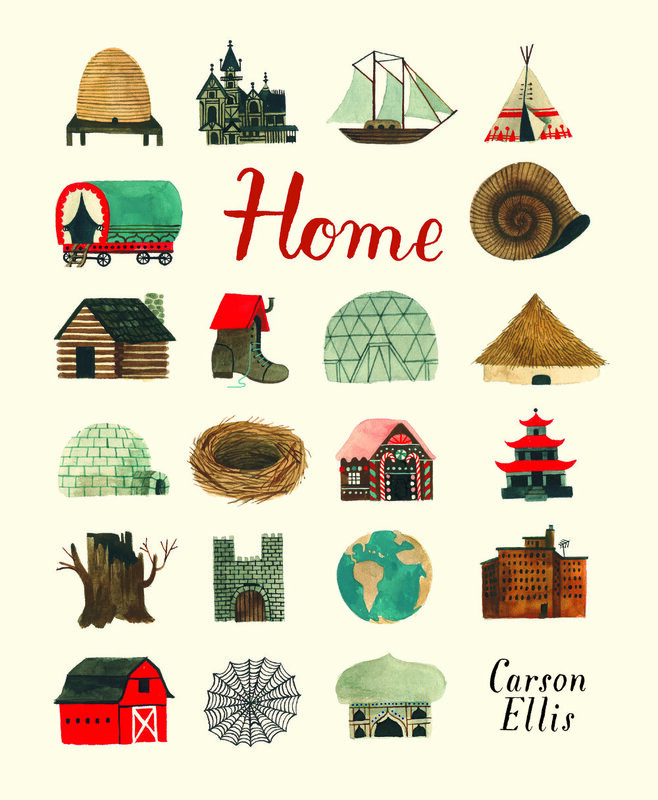 Thanks to Mac Barnett, Maile Meloy, Jon Klassen, and Colin Meloy for so much good advice about how to best tell this story. Thanks to Colin for too many things to mention here, but especially for supporting me as an artist for 20 years, through thick and thin and parenthood. It's probably never easy when two artists raise kids together and - don't worry - we do our fair share of fighting over who should do what. But I couldn’t have made this book if I wasn't married to a guy who shares that responsibility equally and takes my art as seriously as he does his own. Thanks to my parents and to my mother-in-law. 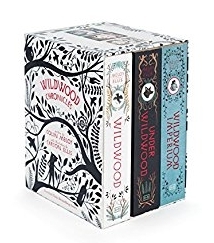 And thanks to the kids book universe: the librarians, the booksellers, the agents, the people who work in publishing, the people who write the books, the people who make the pictures. It’s a very big crew and such a good one to be a part of. I feel so lucky to have landed among you all. 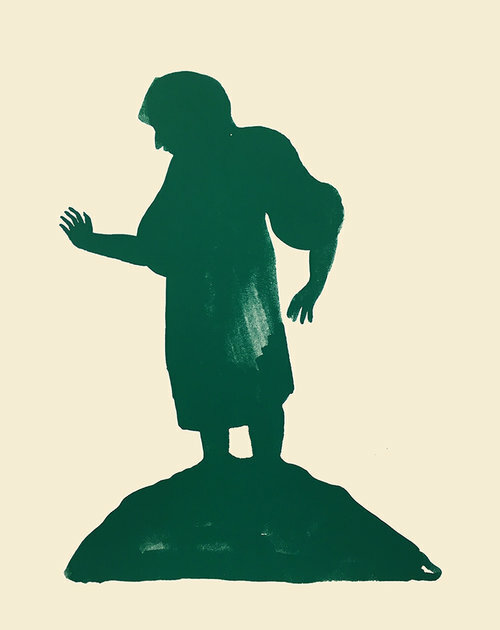 Here’s an illustration-in-progress by Nikki McClure for The Golden Thread, a picture book biography that Colin wrote about Pete Seeger. Some of you might remember that I was originally illustrating this book and may be wondering why I’m not anymore. The truth is that I struggled mightily with it for the better part of a year. I couldn’t figure out the right direction for it or the way in. It wasn't for lack or love of Pete, who is one of my great heroes, or for Colin, who is my favorite person on Earth, or for the book’s manuscript which is totally beautiful. I just couldn’t figure out how to illustrate this book. If you know me well you probably know how much trouble I had because I lamented it to anyone who would listen, including Nikki who always has lots of good advice. But eventually I threw in the towel. It was a big deal! I cried! A lot! It wasn’t a decision I made lightly. Anyway, Nikki took over. She promptly started making perfect illustrations for this book and I realized that I just hadn’t been the right person for the job. That happens, I guess. 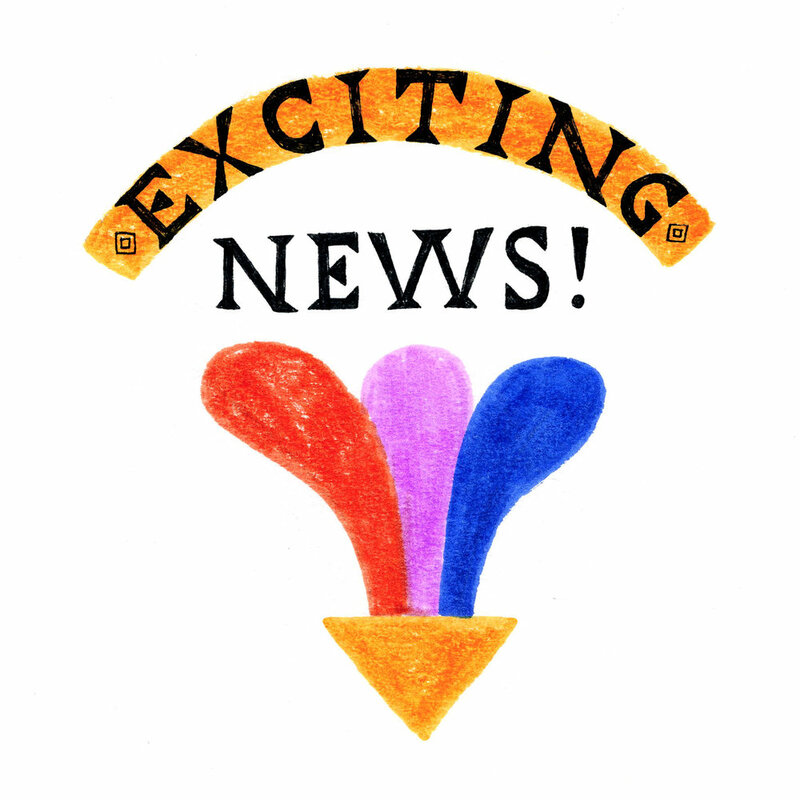 All’s well that ends well and now I can’t wait for you all to see this stunning, timely picture book. Every year I design a holiday card for my family. Past cards have celebrated the joy and magic of the season but man, these are dark days and right now I’m just focused on fighting for a better future. I made a screenprinted poster of this design to benefit The ACLU and you guys bought out the first run in a flash! I don’t have the numbers yet but I know we've raised upwards of a $5k donation so far. THANK YOU! As for these cards, the ones I didn’t use are for sale in my shop and I’ll donate all the proceeds from these to Planned Parenthood, an organization that I couldn’t have lived without in my younger, broker years and one that needs all of our support right now. If you order them, they probably won’t get to you in time for Christmas/Hanukkah but they will make good thank you cards and also good LET’S FIGHT FOR A BETTER FUTURE cards. May at Nationale will be reprinting that poster too - sometime in January it sounds like - and the proceeds will continue the benefit the ACLU. To inquire about the poster, email Nationale. 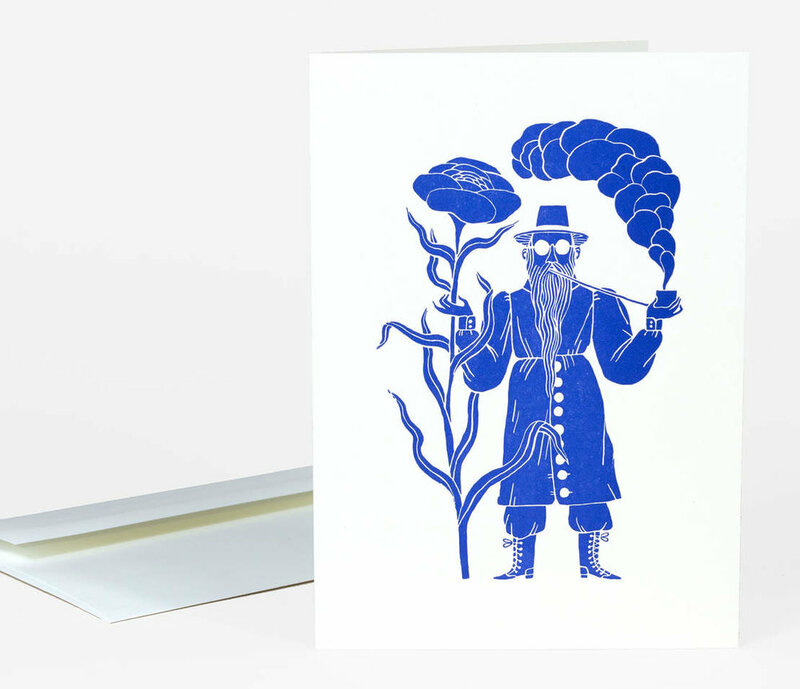 To buy cards, visit my webshop. This Friday at 7:00 I'll be moderating a conversation with Nikki MClure at Tillamook Station in Portland for WeMake's sketchXchange. She's amazing. It'll be fun. Come down! HERE'S THE INFO. I'll be visiting a few bookstores in the Boston area next week. Come say hi if you're in the neighborhood. 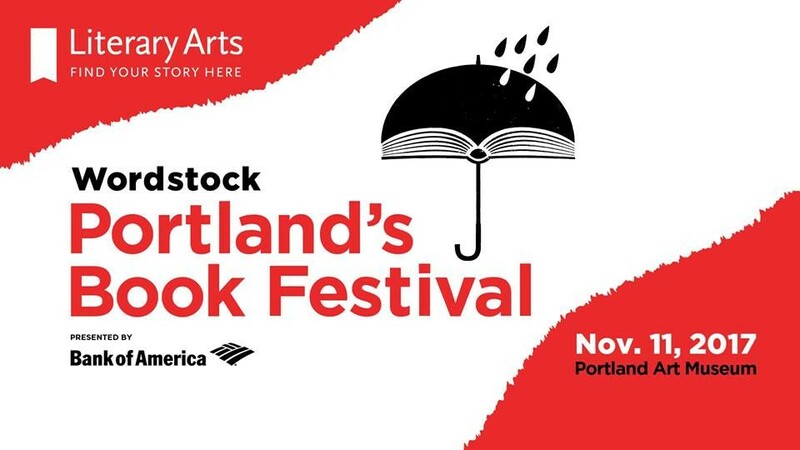 Wordstock, Portland's book festival, is back! This year it'll take place at the Portland Art Museum which is great news. Anyway, I'll be there on Saturday the 7th, reading Home and probably drawing and talking, etc. at noon. Then I'll be joining Maile and Colin Meloy, my talented sister-in-law and husband respectively, for something they're calling "The Meloy Family Hour", a conversation for OPB's State of Wonder, at 5:00. Then we'll be signing some books. Okay! See you there! P.S. I found this photo on the internet. Thank you for taking it, somebody. UPDATE: Here's a link to the interview we did for OPB. We had a long conversation via email for the Stead's Number Five Bus blog. Discussed: workspaces, calligraphy, rap, my sad childhood.